On Wednesday, July 31, Wisdom of the Glove presents a live performance from Nicolas Jaar at Destino Pacha Ibiza Resort – his only appearance in Ibiza this summer. 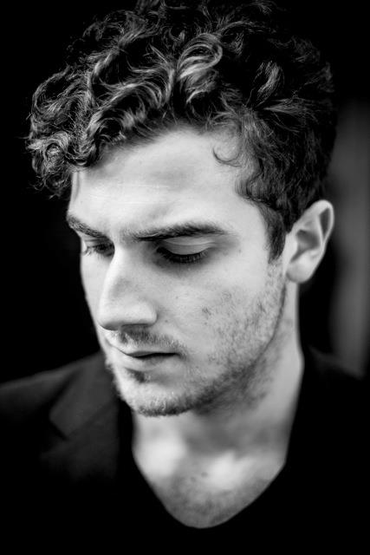 Nicolas Jaar began making music at 14 and two years later released his first EP on the underground dance label Wolf + Lamb. His debut album, ‘Space Is Only Noise’, received four stars in the Guardian and was ranked #1 Album of the Year by Resident Advisor and Mixmag. 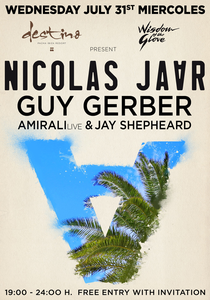 Nicolas will be joined on the main stage by Wisdom of the Glove/Pacha resident Guy Gerber, with support from eclectic producer and DJ Jay Shepheard. At midnight, the event continues downstairs in Destino’s private club with a special and intimate live performance from Crosstown Rebel’s Amirali. Wisdom of the Glove will continue into the evening at Pacha with resident Guy Gerber joined by a special live performance from Four Tet with DJ sets from Thugfucker, DJ Tennis, Bill Patrick & more.